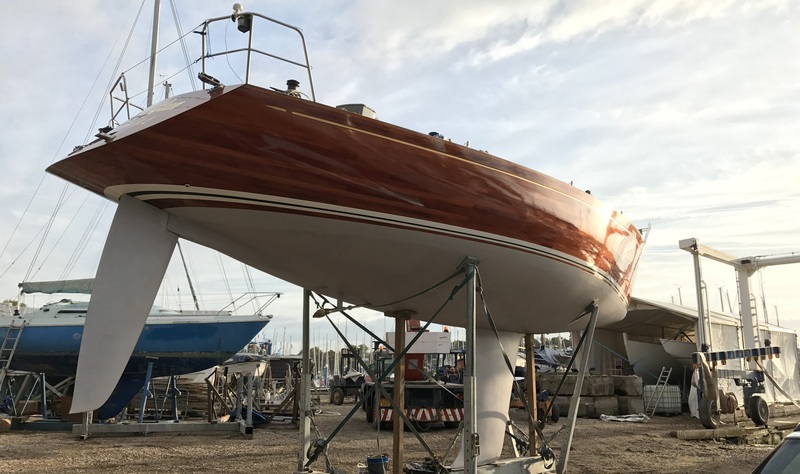 We are proud to be one of the few remaining boatyards on the South Coast to have a dedicated team of skilled boat builders and shipwrights who can work on boats of all different sorts of construction – wood, GRP and steel. We also do in-depth work such as new engine / generator installation, replacment of water system pipework. check / replace worn rudder bearings, inspect keel bolts, replace old engine beds, change cutlass bearings etc. 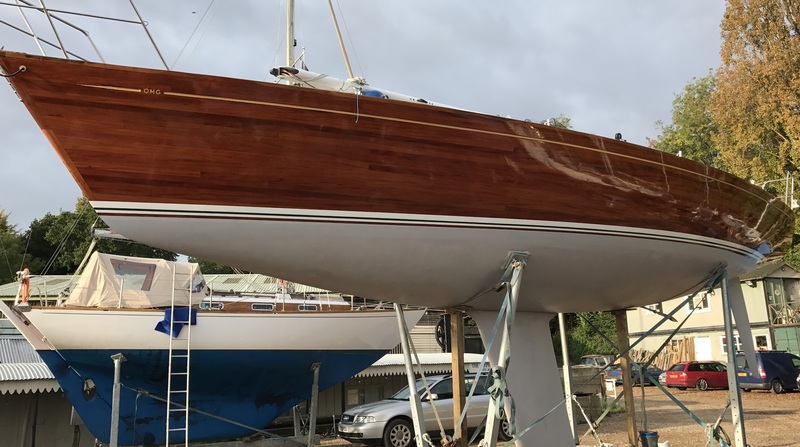 Stripped & revarnished the topsides of Old Mother Gun, a 40ft competitive sailing yacht (above). We are always happy to estimate for any work you require, no matter how small the job.